Brovis router is considered as a wireless router because it offers WiFi connectivity, it allows you to connect various devices to your router. In this we provide you the information about how to configure the Brovis wireless Router in Access Point Mode? The below are the steps to follow to configure the Brovis Router in Access Point Mode. 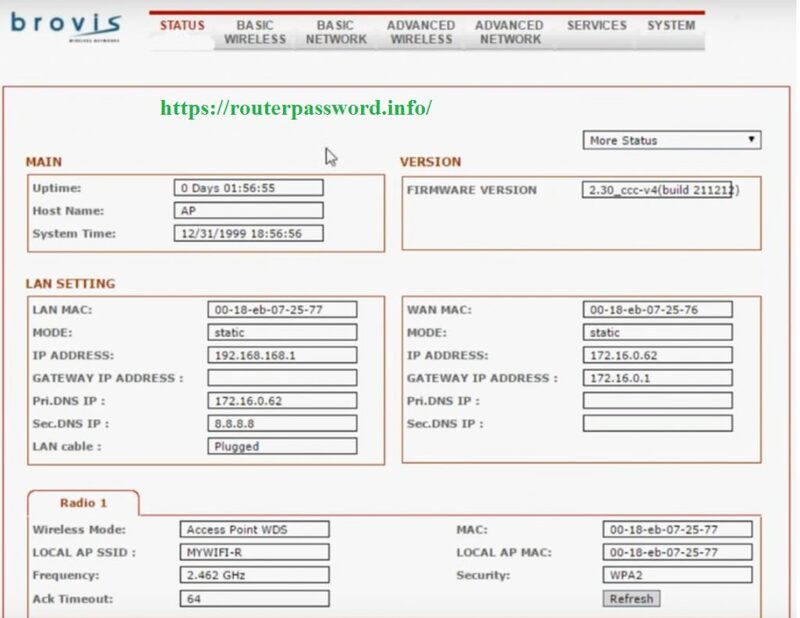 The below is the process to follow for configure the Brovis Router in access point mode. To setup the Brovis Router first of all you have to power cycling the modem and router. For that you have to do is unplug the modem and brovis wirless router from the power source. Connect the Ethernet cable from the brovis modem to the WAN or Internet port of the brovis wireless router. And then first power on your modem, After that your brovis router by plugging them back to the power source. After doing all this process then you have to setup manually. For that you need to connect your computer to one of the Ethernet ports of the wireless router. And then launch your browser in the system and enter the IP address in the address and press enter. The default Brovis IP address is 192.168.0.1. And then click on login. By using the default username and password for the router. Then go to the system and change your IP address. Next you have to configure wireless SSID. For that on the left side of the page, click on radio option. And then edit the 2.4 Ghz radio settings and click on update button. Then select security type and click update button. Click edit button and set password for wireless. After setting the security click update and reboot the device.